UNIQUE in the world: ecological of old vines, with 12 months ofaging in barrel + 10 months underwater breeding infreshwater. Very round. Only 250 bottles. World novelty. 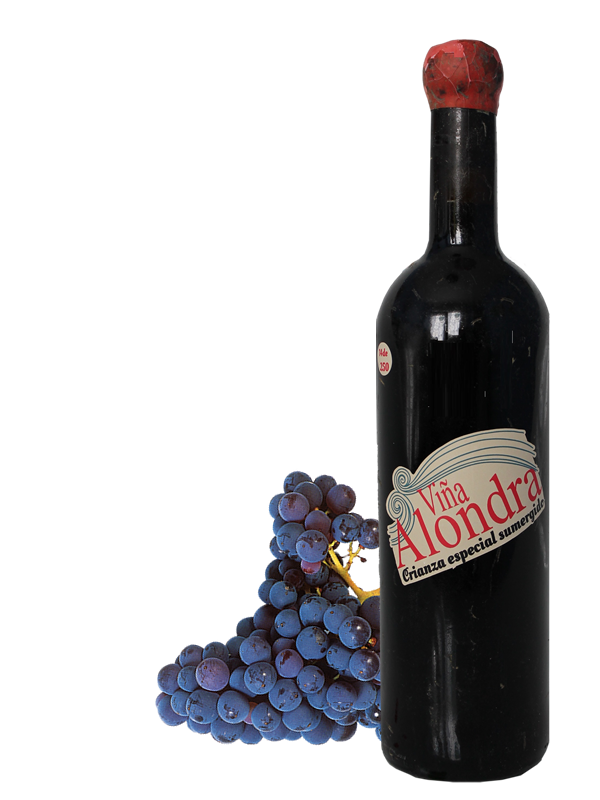 A great wine from author, ecological, harvested by hand, with 12 months of aging in French oak barrels, which for the first time in the world, has been added underwater aged for 10 months, at 20 m depth, in fresh water (in the reservoir of the Cogotas next to the vineyards, and telluric properties). The reservoir is located in the enclave of a Celtic castro, as Enrique Castelló, the Celts chose it for their good telluric energies that it helped them sleep and live better. That they were convinced that this underwater rest of wine, also would help it to ripen in a very interesting way. The idea is based on the “accidental wines” that made their ancestors. In this way refers to the wines that his grandfather and his father were taken to the garden in summer and let them cool in the well; going to remove them, some bottles fell accidentally into the well and not passing at least half a year and well dried or cleaned, those bottles could not be retrieved. The conclusion, between those who tasted it months later, was that the wine had improved by the time which had been immersed in water. So the Castelló brothers have wanted to recover that experience and apply it to their wines. It is the first time that a winery does in freshwater although in salt water, there are already at least 6 wineries in Spain that they mature their wines. And it is that the terms offered by the water are very positive for optimal aging some wines (temperature and relatively constant pressure and the movement of the water, as well as the absence of light and noise). The result is a “more balanced, both in smell and taste” wine that improves and increases your chances of aging in the bottle. 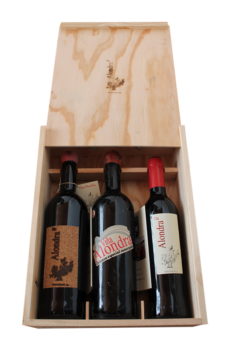 A wine that is absolutely genuine and original, to surprise even the most knowledgeable. 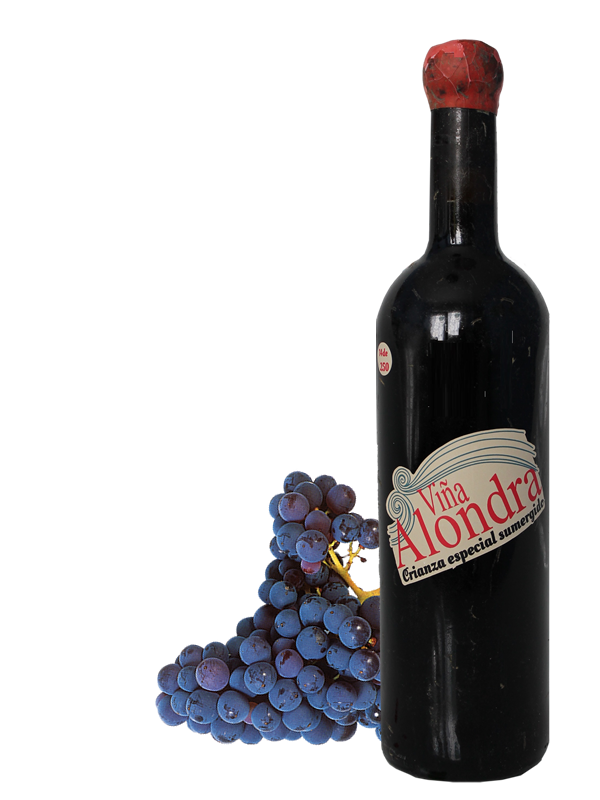 We suggest a curious exercise: taste it and compare it to the Viña Lark with only barrel aging, so you can appreciate the effect that gives it the underwater breeding, and discover their peculiarities, which are quite obvious. It is also an original gift, unique and singular upbringing, and its delicious result. They are only 250 bottles. It is delivered in a gift box! Pairing: you can enjoy it especially if accompanied it with spicy red meat or barbecue, stews, white meats, fish, blue, pasta, cheeses, cured, Iberian and risottos.